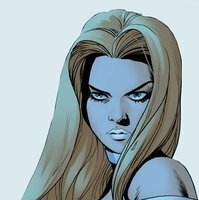 I don't remember a lot of complaining about X-Men waves, but there seem to be complaints about this wave as well, particularly about repeats of Black Cat and Carnage (and Spidey, really). Although, really, TRU 24 was not a Spidey wave. Scarlet Spider, Carnage and modern Black Cat was half the wave, but Thor, Collector and Gwenpool are pretty far from Spidey. Series 26 is also not a Spidey wave, it has Iron Spider and Spot, a character who has fought Daredevil and others. 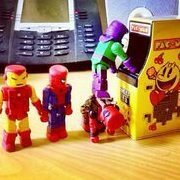 The others are X-Men and Iron Man characters. Technically, neither series had Spider-Man in it. 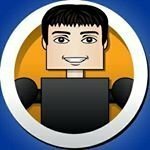 You could ask on here or ask in the two Facebook Minimates groups. I'm sure someone could've helped you out. Do you remember the ToyBiz Dr Strange and how his cloak would bend so that the figure could “float” in it? I hope it is something like that for Cloak here. Here is the angry Carnage face that I included with my Deadly Foes sticker kit. I think something like this would work better on this release. I usually check with a couple people on here when I need something, but for the most part I just buy the things I need when I need them. I can afford to, and it saves time and hassle. This one's a bit rare, so I didn't want to bother with a long hunt. If we order this set from you, can you include that sticker? Yep I can certainly do that. Bagley's Spider-Man was my childhood. So excited. And I can dismantle my QC Doppleganger and forget about needing to track down the rest of the parts for the Demogoblin QC I'd planned. I'd be all over this for sure. I loved that sticker but didn't get the second set to recieve one. 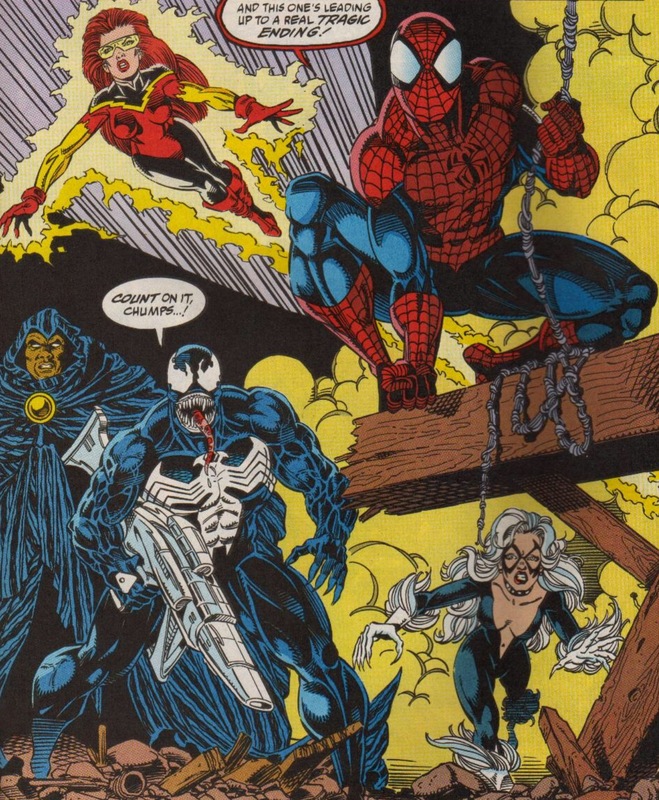 Wasn't Firestar wearing her black jacket costume in Maximum Carnage rather than her classic yellow and orange one? But I'd be all over that jacket one as a Minimate! I just flipped through my copy of Maximum Carnage and, yes, she's wearing the black jacket costume. Whenever DST does larger eyes for Spider-Man they seem to end up a little low on the head, which I understand is difficult since there's only so much real estate to work with. Still, this is the Spider-Man of my youth so as long as the webbing doesn't show through the eyes too much this will become my default Spidey. The sonic blaster is an excellent accessory too. 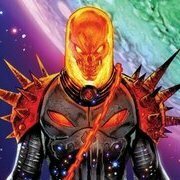 My only real disappointment here is that the problems with Venom and Carnage are things I would just assume DST would get right. 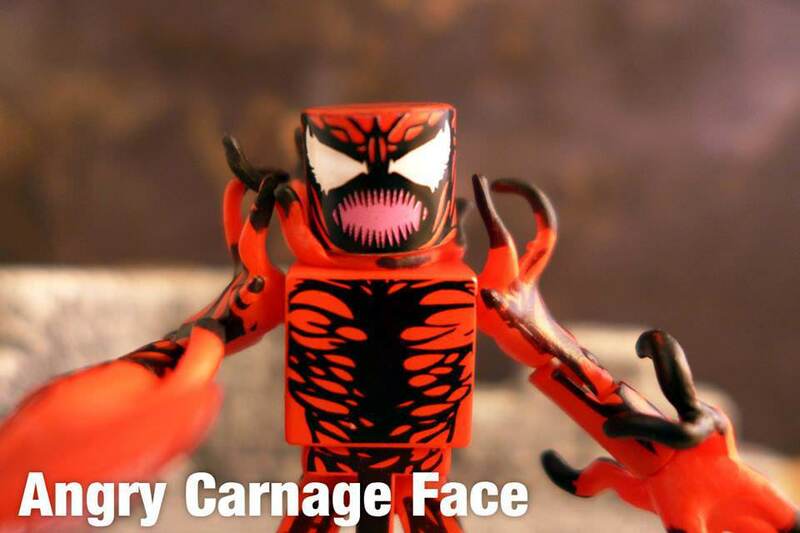 Of course Carnage would have a new face, but it looks like he doesn't. Of course they would design an excellent Venom, except this one is a weirdly proportioned mess that's missing his tongue. To me, I look at that picture above and Venom in this wave looks perfect! He was drawn with a more muscular upper body than Spidey and everthing else is the same size. I can see people's point, but I think it works in this case. It's like if we ever get a Strong Guy figure, he's usually porrayed with a massively built core but normal wrists and hands. This to me is a great way to get that in a figure. 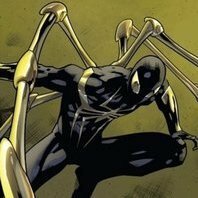 This Venom looks like foreshortening to me. I like it. He varied a lot in size and proportion too back then no? Not really, you need an extra Hobgoblin and an energy sword. 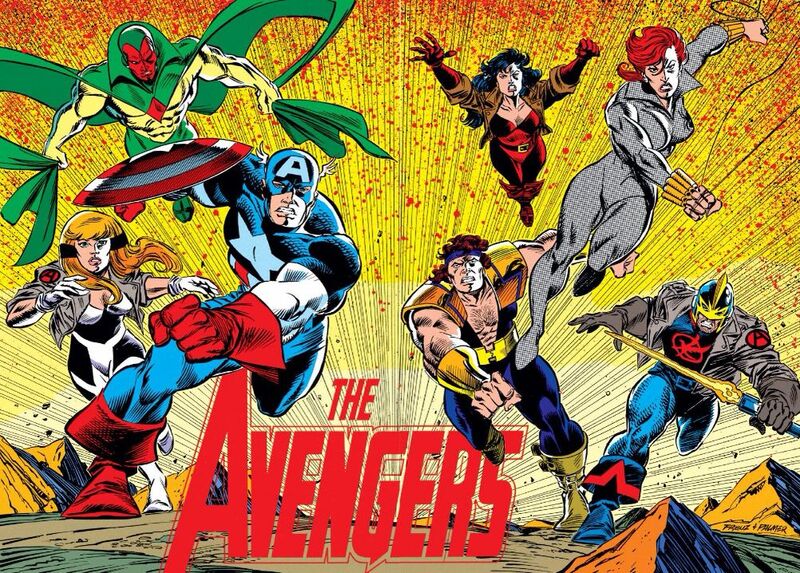 The only solution is to make a 90's Avengers wave as a companion to this one.